Bend Electric Bike's Rion O'Grady shows off his balancing skills, performing a no-handed trackstand on 5/5. You've just pulled over to take a sip of water. Your heart is pounding from pedaling out of the saddle up a steep, rutted and dusty hill. Looking down, you see the reddish-brown streak running from where the nobs on the platform pedals hit your shin like a shark bite. Back in the saddle you hear it: "On your left," as a dude wearing a full bike suit leaves you in the dust. Only one thing about it: dude's riding an electric-assist pedal mountain bike. In the early 1990s, back when toe clips were cutting-edge technology, a small company named Montague developed the first electric mountain bike, according to Montaguebikes.com. Fast-forward to 2018 and e-bikes, as they're commonly called, are selling like hot pink bike shorts did in the '90s. According to NPD, a market-research company based in New York, sales of e-bikes rose 95 percent between July 2016 and July 2017. The mountain e-bike cousin had sales of less than $500,000 in 2015, but exceeded $2.5 million in 2017. According to a Bosch Media Service release, people bought nearly 2 million e-bikes in Europe in 2016. E-bikes can help people who have disabilities enjoy the outdoors. However, they can also cause contention between riders who pedal the old-fashioned way, when used where they are forbidden, such as non-motorized trails on U.S. National Forest and Bureau of Land Management lands. In a recent blog, employees of Bend's Pine Mountain Sports said they spotted e-mountain bikers near the top of Whoops Trail in the Phil's Trail network—maintained by the Central Oregon Trail Alliance and classified as non-motorized singletrack. "They're not allowed legally," Mark Campbell of Pine Mountain Sports told the Source. "We stand by what the Forest Service says, and COTA." According to Oregon's vehicle codes, electric bikes are allowed on roads, but not on sidewalks. E-riders are not required to wear a helmet, but must be at least 16 to ride. On dirt, the codes say this: generally, any dirt trail designated as open to both motorized and non-motorized uses is open to eMTBs, but the bikes are not allowed on trails managed for non-motorized use. The BLM classifies e-bikes as motorized vehicles. So does the Forest Service, which says e-bikes are, "allowed with the Travel Management Rule for roads open to all vehicles, trails open to all vehicles, trails open to vehicles 50 inches or less in width and trails open to motorcycles only," according to a March 2016 memo. However, two states have changed their stance on e-bikes, which can cause confusion for visitors and transplants to Bend. 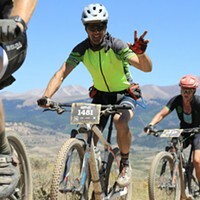 California and Colorado changed the wording in their legislation to allow class one (electrical pedal-assist) bikes on a bike or pedestrian path where bicycles are authorized to travel, according to singletracks.com, a mountain bike advocacy website. Right now, the Oregon Parks and Recreation Department is considering a rule change that would allow e-bikes on certain OPRD trails and roads 8 feet or wider, and along select areas of Oregon beaches. With the growth in e-bikes sales, COTA's Woody Keen said his group has done what they could to educate e-MTB riders by putting signs up at trail heads warning e-bikes aren't allowed on singletrack. "We feel the responsibility falls on those who sell the e-bikes," Keen told the Source. "We do our best to educate customers about what's happening now," said Sales and Tour Manager Courtney Van Fossen of Bend Electric Bikes. Bend Electric Bikes has information on its website about where e-bikes are allowed. They also give handouts to customers and have a large map in the store that shows where e-MTBs are allowed. As of now, Keen said COTA places small no-e-bikes signs on posts in the trail systems they manage but wants to make changes so they stand out more. "We don't think they're obvious enough," Keen said. "We're going to change the sticker on the posts to read 'no e-bikes or pedal assists' in bright letters." Keen said he'd also like to see the Forest Service put up its signs about e-bike use at the kiosks in places like Phil's Trails, Green Gate, and Wanoga. The website of People for Bikes, a bike industry coalition and foundation, also offers trail etiquette guidelines for e-MTBers, recommending that people don't ride on trails if the rules are unclear, and to ask local land managers about access to specific trails. It also reminds users of e-MTBs to yield to all non-motorized users, regardless of the direction they're traveling. On the People for Bikes website, there are recommendations for "five great e-MTB rides" in Oregon. Near Hood River, there's the 20-mile Post Canyon trail. The Elkhorn Crest Loop trail is a 38.1-mile ride near Sumpter. In the Umatilla National Forest, there are the 18-mile South Fork Walla Walla trail and the 35.3-mile Umatilla Rim trail. In Southern Oregon, there's the 17.6-mile Grayback-Mule Mountain Loop, in the Rogue National Forest. Keen said he's not totally opposed to e-MTBs in the woods. "If the e-bike community banded together and work with the land manager community—make their own trails—I would support this conceptually," Keen said. "It's a hell of a way for folks to keep riding bikes," Van Fossen said. The public comment period for the question of allowing e-bikes on Oregon Parks lands closed May 7. OPRD will review all submitted comments and present a final recommended rule to the Parks Commission, which will review the rule during its June meeting.